This image is magnified some 3.3 billion times. 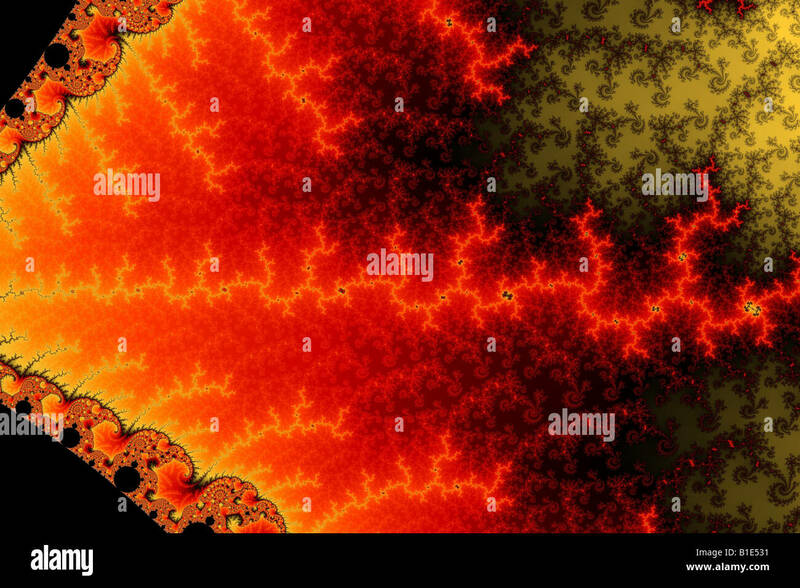 It features a simple zig-zag line leaving a mini mandelbrot to find new pastures. But there's no such thing as a simple line in fractal world!